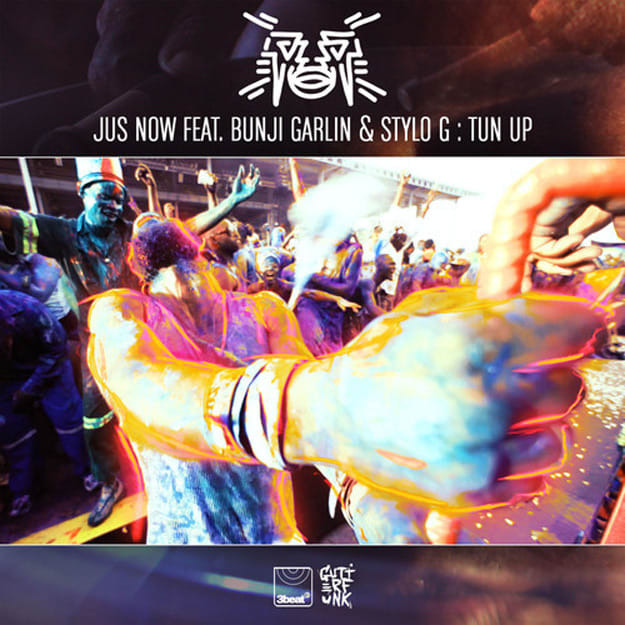 PREMIERE: Jus Now ft. Bunji Garlin & Stylo G - "Tun Up (Dismantle Remix)"
Feels like its been a bit since we&apos;ve heard newness from Dismantle, but when we get tunes as ill as this remix of Jus Now&apos;s "Tun Up," I don&apos;t care how long it takes. For those that don&apos;t know, Jus Now is a duo comprised of Bristol-based Interface (who did a lot with DJ Die) and Trinidad&apos;s LAZAbeam), and the original has received love from the likes of Major Lazer, Baauer, Skream, Annie Mac, Toddla T, and the usual band of amazing DJs. Dismantle gives this one a jungle-ish push, with the breakbeats and sub bass. Pairs up perfectly with the toasting, and is sure to get the crowd hype regardless of what kind of party it is. This is set to drop on May 18 via 3beat.